Do you like traveling without ordering a full package of services? You have a great opportunity! The cost of the tour includes transfers between cities, train tickets, hotels, visa support (if necessary), transfers at the station and airport. 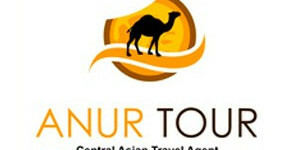 Duration: 7 days / 6 nights Сities: Tashkent, Khiva, Bukhara, Samarkand. Arrival in Tashkent. Meeting at the airport. Transfer to the hotel, accommodation. Discussion of the tour program and other details with a representative of our company. 07:00 Departure to Urgench from the local airport. 08:40 Arrival in In Urgench. Meeting, transfer to Khiva. Accomodation in the hotel. Standard check-in at 14:00. Transfer to Bukhara through the Kyzylkum desert (475 km). On the way a short stop by the Amu Darya River. Arrival to Bukhara. Hotel accommodation. 09:00 Transfer to the railway station. 09:45 Departure Samarkand by train "Afrosiab". 11:25 Arrival. Meeting and transfer to the hotel, accommodation. 17:00 Departure to Tashkent by high-speed train Afrosiab. 19:10 Arrival and meeting. Transfer to the hotel, accommodation. Guide services and entrance fees in the cities.